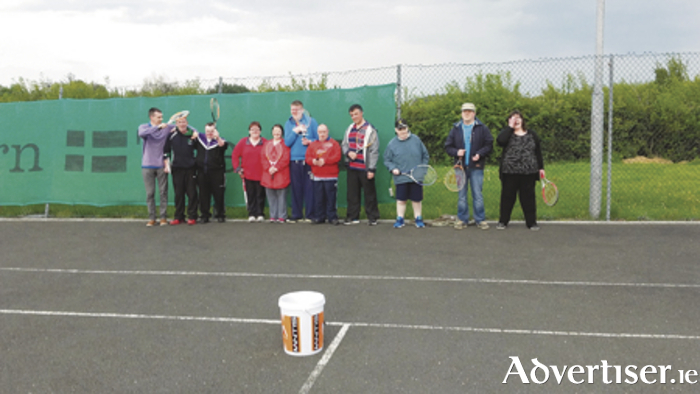 Ballinasloe Tennis Club has been leading the way in making sport accessible for everyone with a dedicated special needs programme which has been running throughout the summer. Every Monday night at 6pm, up to 12 players from the Brothers of Charity Services have been participating in structured tennis sessions with club coach Robert Johnson. This is the first time that some of the participants have had the opportunity to be involved in a sport, and they have all been greatly enjoying the experience. The feedback has been so positive from everyone involved that the club is now making arrangements to allow players to use the courts during the day to play and further improve their skills. Tennis Ireland have also taken an interest in the club’s success with the programme and have provided some funding to allow the club to expand the sessions. One of the players, Triona Larkin, has also joined the tennis club committee and is helping to shape the club's future plans. "I am very excited to be helping with the club's plans for new indoor courts, so we can play tennis and lots of other activities even when it’s raining," says Triona. "I feel great when I am at the meetings. Joe, our chairman, always listens to me. I think other sporting committees in the community should ask people to join them, especially people who want to live independently and be a part of the community. You could be surprised at how we can help. "The tennis club was very good to ask us to join as very few local clubs invite us to join in and play their sports. You can email us about joining or helping out at [email protected]"
New members of all standards, including complete beginners, are always welcome at Ballinasloe Tennis Club. For further information see www.facebook.com/bsloetennisclub, or call Garry (085 ) 1124197, or Louise (087 ) 1353751 (for ladies and all coaching queries ).